A tablet that appears to be an 8-inch Nexus slate was spotted on the "Apps and Entertainment" page of the official Android website. When Google announced Android 4.4 KitKat back in early September, the video showing the unveiling of the KitKat statue also revealed an unknown Nexus device. In the meantime this proved to be the recently released Nexus 5 smartphone. Now it seems another unknown device appeared right on Google's official Android KitKat website and this one looks like a new Nexus tablet. 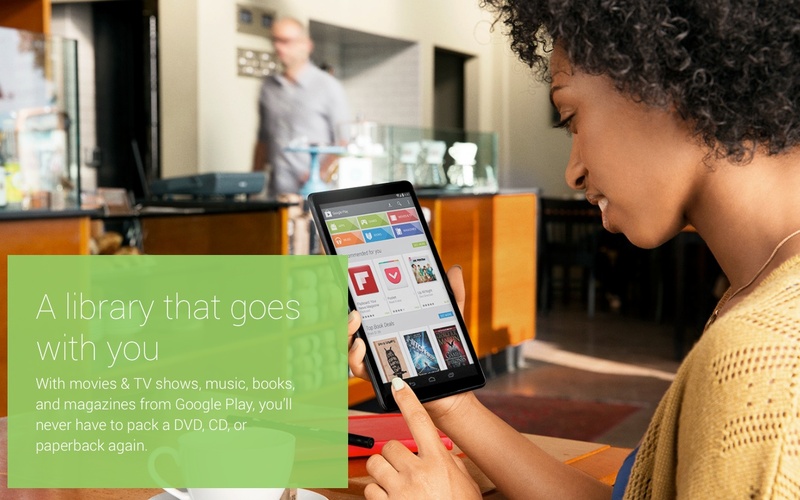 According to 9to5Google, the image showing the Nexus 8 Android tablet was spotted on the "Apps and Entertainment" page of the official Android website. Right now, the device is still shown there and the image can be easily located at the bottom of the page, above the footer section. Unfortunately, the "Phones and Tablets" page does not offer any kind of information regarding a Nexus 8 tablet yet. The only devices mentioned here are the following: Nexus 5, Nexus 7, Nexus 10, HTC One, and Samsung Galaxy S4. Since Google did not remove the image showing this allegedly upcoming tablet, we should expect the Nexus 8 slate to be announced later this week. As recent leaks show the Nexus 8 is expected to be closely related to the 8.3-inch LG G Pad but that remains to be seen.